The online casino industry is booming at the moment and there are many reasons why. The industry is ever-changing, has constant improvements in games, and also features lots of other perks that you can’t get in a land-based casino. Online casinos are particularly fast-paced, with operators constantly updating their product in an attempt to remain relevant in the market. Leading casinos are always seeking improvements in their product, such as increasing the number of casino games or changing the interface to remain a step ahead of rival casinos. With all this is mind, joining a casino online has never been more popular. One thing that’s a constant in online casinos, and a reason as to why they’ve grown and become so popular, are the bonus and promotions, with many now offering players welcome and casino bonuses as a means of enticing them to sign up and play the games. All casinos offer different welcome offers and bonuses that can be used on a wide variety of games, whether it’s slots or table games, like poker, baccarat and roulette, or modern variants like video poker. 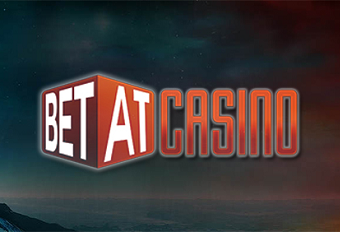 BETAT is no different and we’ve reviewed their welcome bonus here to help you, the player, make a decision as to whether you would like to join their casino and what sets it apart from all the others available online. The welcome offer at BETAT sees new players pick up a €500 bankroll boost when they join and make a minimum deposit of €20. The promotion works as a deposit bonus offer, which means that players will receive the bonus as soon as they’ve made their first deposit on the casino site. To qualify for the bonus, players must make a minimum deposit of at least €20. The deposit is matched up to €500 and subject to 30x wagering requirements. Do have a look at the terms and conditions though, as BETAT lists a set of games that do not fully count towards the wagering requirements of the bonus. On top of the deposit bonus, players will also receive 50 free spins to use on one of the industry’s most popular slot games, Starburst, developed by NetEnt. These free spins must be used with seven days of being credited. The winnings are converted into bonus funds with a wagering requirement of 30 times the value won. Players who deposit using e-wallets like NETELLER, Skrill or EcoPayz will not qualify for this welcome bonus. While the welcome offer is a great way of introducing new players to the casino, there are some other fantastic casino bonuses and promotions that are there waiting to be taken advantage of. All the offers on the site can be found under the Eligible Promotions tab. This page is regularly updated, so there’s no need to worry if you’ve used up a promotion. There’s a KickBack Cashback offer, where players can receive some bonus cashback every Wednesday, while there are also other ongoing daily and weekly bonuses. Mobile slots and mobile gambling as a whole has become one of the most exciting advancements in the world of online casino. Mobile gaming allows players to enjoy all their favourite casino games from wherever they want, whenever they like. BETAT’s mobile casino is one of the best in the industry and players won’t be short of choice when it comes to enjoying games on the move. Several leading game providers, including Microgaming, NextGen and BetSoft, have portfolios on the site. The selection of games is great and there are even bonuses and promotions specifically targeting mobile players. The mobile casino is user-friendly and is one of the better ones in the industry. BETAT Casino’s welcome bonus is fantastic for new players, with some great rewards on offer for those who take advantage of it, but, like with any casino promotion, it’s incredibly important to read the terms and conditions. All offers, whether it’s deposit bonuses, free spins or boosted winnings, have conditions specific to them. Wagering requirements are a key part of any welcome bonus. These are requirements that you must meet in order to unlock the winnings from a bonus. At BETAT, these requirements are set at 30x, meaning that you have to wager your bonus 30 times before being able to make a withdrawal. These terms and conditions are always important to read, otherwise you might miss out on some big jackpot winnings, all because of a bit of small print that you’ve ignored or misread.